Time and time again I notice people who get so caught up their own drama’s, simply because they didn’t think ahead, didn’t consider the consequences of their actions, and didn’t think for 5 minutes to have a plan in place. Drama that could have been totally avoided in some cases, if they simply took some “time-out” for themselves for a mere 10 minutes to consider their next action. Which could have been spent productively, by sitting down and thinking straight and making a plan. Instead of being “re-active” they could have been “pro-active” and made a plan. Weighing up the pro’s and con’s of any situation is where you will find flaws, and successes, and grace. All too often, many people don’t stop and think for themselves, on the spot about the practicalities and consider the outcomes of NOT having a plan. Being organised comes naturally to me, I have my parents to thank for that, my Dad for making sure the House was tidy as he hated mess and chaos. Plus my Mother always insisted on “making a list” when she had to do a lot of things. So as I grew up, I watched and learned and followed those same principles. As a busy Mother she was always on the go, helping people, having an active social life, whilst raising me and my older sister as a single parent, and running a successful Business, and she also found the time to Entertain and was a fantastic Cook too! Despite having lots of stress in an unhappy Marriage. Each day was a juggling act, and having a plan, which was often only a List on a piece of paper, is what often saved the day, and saved dramas from occurring, and saved grace, and Mum and I always had a few laughs afterwards “we made it through another week Deb” ! Those days of making a List, taught me many simple practical “no nonsense” things. These days we have many options via our Mobile Phones, by Text Messaging, by Emails, by Internet Applications, by Apps on our Mobile Devices, Post It Notes, Ipads and Tablets, Laptops and good old fashioned Notebooks, and Journals. That are far prettier now than they used to be, and easy to buy in most Shops. Even at the Petrol Station ! When I was growing up you could only buy a nice Notebook or Journal from a Gift Store or a Newsagent, or a Department Store and we didn’t have Post-It Notes ! Most of us these days, have Mobile devices of one sort or another and Post-It Notes! Therefore there is no reason why you cannot be organised and have a plan. Having Post It Notes in your Handbag and a Pen, or a pretty Notebook in your Handbag is a no brainer. 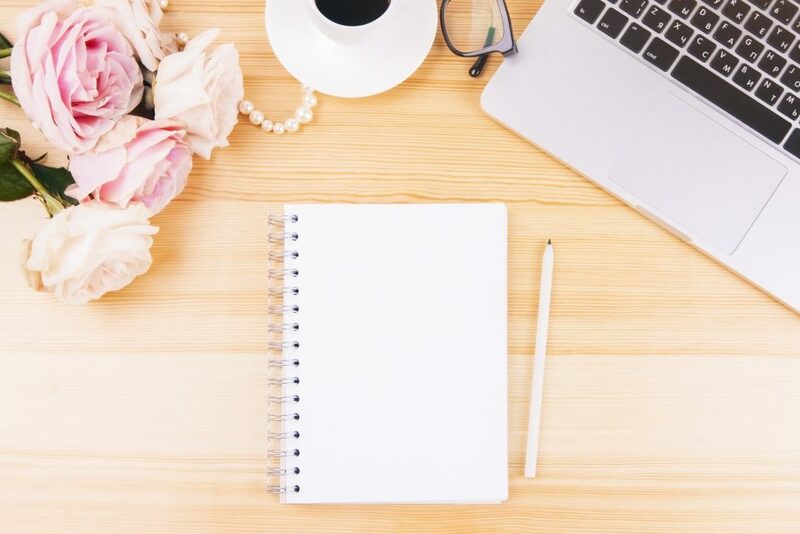 So you can easily make Notes during the course of your day or night, and as things happen, or you have a bright spark idea, you can sit quietly for a quiet 5 minutes and make a plan on paper. That 5 minutes is invaluable at making sure you have a successful plan, or at least the very beginning of one, it takes away confusion, anxiety, negativity, and drama. Replacing those negative emotions with joy, peace, confidence and those emotions almost always lead you to success. Being “pro-active” instead of being “re-active” will help you feel like you are in control of the situation, rather than be the drama queen who is quick to react irrationally, who almost always makes irrational decisions, based on poor judgement and no common sense. Make A plan – on a piece of paper & take a photo of it – so you have it on your phone everywhere you go, and so you can stick to your Plan. Post It Notes – Always have Post-It Notes in your handbag & a Pen. Pictures – Use pictures to help you remember your Plan, so you LIKE your plan, generally speaking if you like your Plan, you will stick to it. Rethink – Where did your plan go wrong ? Research – Ask Mentors how they do things – Read their Books – Engage them to help you with your Plan. You don’t have to do things on your own, you will learn valuable lessons from them that will stay with you for life. They have walked the road before you, so walk in their steps and avoid lots of disappointment, by asking them to guide you. Feedback – Ask people that were directly involved in the situation, ask Experts if you need to “to get clear on how to do things better”. Listen – Judging people and their opinions will not help you learn – often getting another persons opinion or perspective will give you true insight. Listen to them, as to how you can improve things, its not always about you, its about how others perceive you to be. Own it and Learn – Own your flaws and make a commitment to yourself, you wont do things that way ever again. No point in self-sabotaging yourself. Listen, Learn, Grow and choose to move on to the next exciting part of your plan. Refine – Take everything you learned from that experience and use it to strategise a new plan for success. Celebrate – your successes and Repeat. Summarising, many successes in my life have come my way when I have strategically chosen to have certain plans in place. With discernment and careful and intelligent planning you really can achieve joyful and exciting results that will change your lifestyle on all levels ! By choosing to seek out Mentors specific to the Plan I had, to learn from a deeper perspective about certain parts of my life that were so NOT working, I experienced learning strategies that I now teach to women who really really want to change on a deeper more fulfilling level. Join my VIP MEMBERSHIP LOUNGE today to receive my insights on living your life Positively Courageous, with Femininity & Style! For all sorts of easy tips and techniques, that are easy to implement for your Business and to experience more positivity, courage, femininity and style in your life! PLUS a few FREE Printables to keep you focused and motivated! PLUS a few VIDEO's on positivity, courage, femininity & style! Be part of my VIP Community today - its FREE for a limited time! Thank-you, please check your inbox! We promise to keep your details safe. I’m Deborah Johnston – Mentor – Speaker – Author. 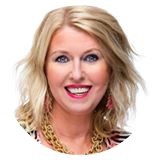 My expertise is Mentoring Women in Business & Life – from Mindset techniques to practical easy to follow steps to help you achieve growth in your Business and to experience positivity, courage, femininity and style in your life! Thank You for checking in with me today, CLICK onto my Facebook page and Instagram, for lots more, and also JOIN my VIP Membership Lounge, to become one of my first VIP’s for FREE! Thank-you Beautiful You, please check your inbox! All of your details will always be kept Private. Connecting to Your Core Feminine Truth & Owning It! Its FREE for a limited time! PLUS a FREE Downloadable Chapter from my first Book "Absolutely Courageous"! PLUS a VIP Invitation to my Book Launch in 2017!